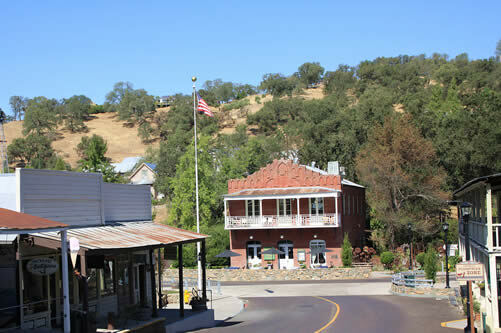 Sutter Creek, nearby Amador City and the town of Pioneer are home to well-established and popular Gold Country hotels. These lodging establishments are ideal for couples on vacation, business travelers, group events, family reunions and corporate retreats. These California Wine Country hotels provide a unique venue for weddings, receptions, honeymoons and anniversaries. Each of these hotels offer food services through their onsite restaurant, bar, saloon or all three. 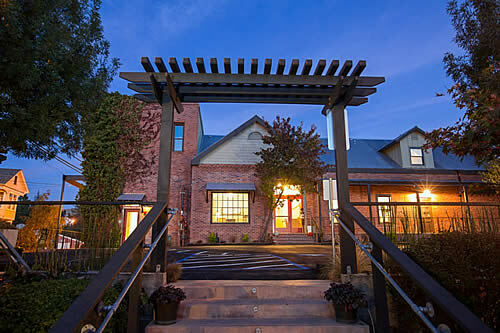 Staying at a Sutter Creek area hotel is an experience like no other! Choose Hotel Sutter for a truly unique lodging experience, where historical Gold Country charm meets contemporary elegance in the heart of wine country.Situated in the heart of Gold Country in the picturesque foothills of the Sierra Nevada Mountains, Sutter Creek in Amador County is the perfect place to get away from the hustle and bustle of everyday life. 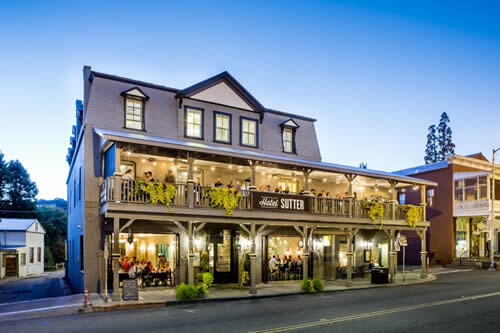 Established in the height of the California Gold Rush, Hotel Sutter is the epitome of historic boutique accommodations in the middle of a booming wine region. At Hotel Sutter, each of our 21 guest rooms are tastefully decorated and appointed with all the comforts of home. Each room is 100% smoke free and furnished with elegant, deep jewel tones and handcrafted quilts. Private baths with complimentary toiletries are included for each room. Turndown service, hair dryers and irons/ironing boards are available upon request. Additionally, we offer one ADA accessible room per floor to accommodate the special needs of our guests. Discover a quiet retreat on 10-acres inside the El Dorado National Forest, centrally located near Sutter Creek and Jackson, as well as Kirkwood resorts and skiing. Clean and affordable. Ideal for weekend getaways to family vacations and reunions. 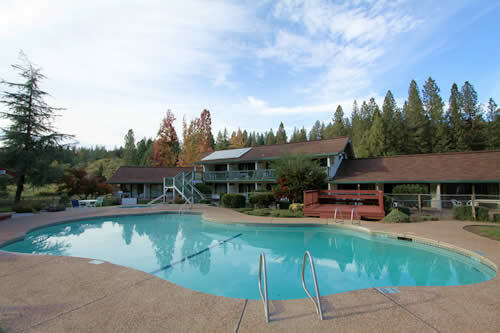 Outdoor pool, heated spa, and hiking trails. Some pet-friendly rooms. A friendly and helpful staff, eager to welcome you back again and again!